A Water Pik is a device invented for cleaning the mouth with precise water pressure. It comes with several different attachments especially made for this purpose. Many dentists highly recommend using this small machine because it helps to reduce bacteria and remove deposits of food and plaque. Water Pik can also be used in other ways that benefit health. According to the University of California School of Medicine, allergic rhinitis is a condition that approximately 30 to 40 percent of Americans suffer from. Allergic rhinitis can cause an itchy nose, eyes and sneezing. A Water Pik, however, can help treat this medical condition. There is a special attachment that can be purchased just for this purpose. The University of California School of Medicine suggests dissolving 1 to 3 teaspoons of salt in 500cc of warm tap water. Using the lowest pressure possible, the Water Pik can then be used to irrigate the nose with the solution. A Water Pik is useful in helping to maintain good oral health. It can massage and stimulate soft tissue in the mouth which helps to reduce the risk of gingivitis. 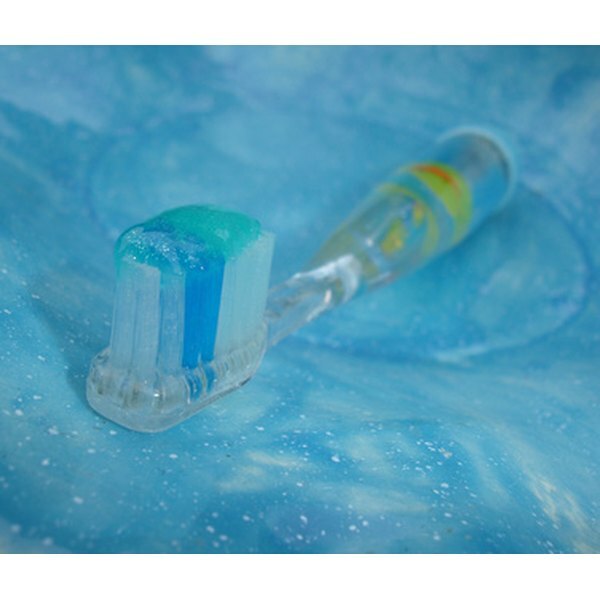 Water Pik also helps to clean better around the teeth and gums, removing food from areas areas that brushing can not access. Using a Water Pik can help to make the mouth feel much cleaner than regular brushing and flossing can, though it should not replace brushing and flossing. Water Pik is beneficial to those who have fixed oral appliances such as braces or implants. A Water Pik can provide a soothing massage to irritated tissue that might develop around these appliances. Water Pik also helps to reduce the risk of infection that might lead to a septic infection, which can be life-threatening. According to Roger P. Levin, DDS of Inside Dentistry, using a dental Water Pik with an orthodontic tip can effectively clean appliances. Cleaning the appliances after food is eaten or at least twice a day, morning and bedtime, is best for optimal results.